When seniors normally settle into Cedar Branch Retirement Community they begin a simpler and slower pace of living. Not this group! With Jack Goslin, Karl and Betty Rutherfurd, and the Stevens Sisters nothing is simple or slower after moving into the number one retirement community in the south. With the neighboring resort battling over the beach property our eccentric group of seniors avenge war on the uptight and controlling manager of the resort. And after CBC gives the green light for residents to have private golf carts, well things just get even crazier for Derrick St. Clair. From the new exotic fitness instructor, to Violet’s secret winery, Jack’s pimped out golf cart, and a host of other new issues for the director, CBC continues to gain popularity as the most interesting retirement community in the south. 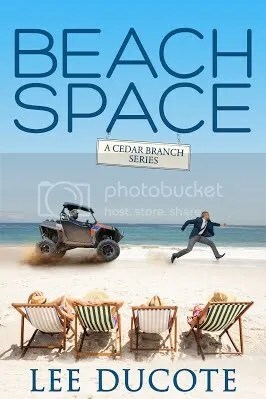 If you are looking for a place to retire, settle down, or witness bizarre fiascos stop by Cedar Branch, who knows – you just might make it home! Lee DuCote has traveled the world researching cultures, people, and historical accounts to help create his stories. A native to Louisiana, he writes to give hope and encouragement to others, as well as to entertain and spark the imagination. Lee lives in the Ozark Mountains of Arkansas with his wife and family and is the author of seven novels including Camp 80 that earned him an international book award. Previous Why Attend a Book Event?